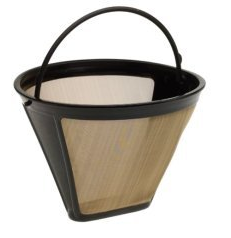 When making your coffee each morning think about using a reusable hemp filter or a reusable mesh filter instead of using a brand new paper filter every time you make yourself a cup of joe. Or better yet, go filterless with a french press. This is just another simple, sustainable step to decreasing waste & the harvesting of trees as well as improving the taste of your morning java. Really this post is a useful one for kitchens and home makers.